Are you interested in your family history? Does DNA fascinate you? 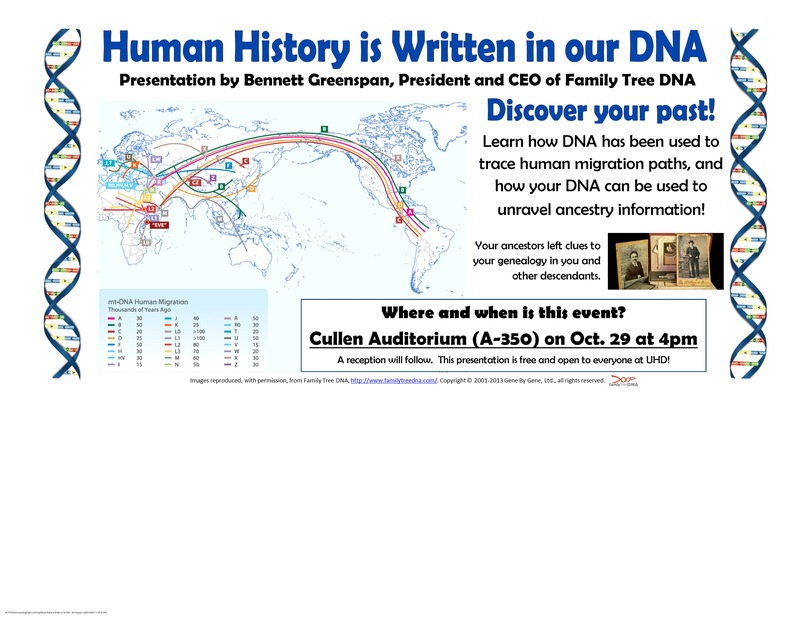 Make plans to attend the "Human History is Written in Our DNA," a presentation by Bennett Greenspan, president and CEO of Family Tree DNA. Learn how DNA has been used to trace human migration paths and how DNA can be used for ancestry information! Your ancestors left clues to your genealogy in you and other descendents. The event will be at 4 p.m. Oct. 29 in the Cullen Robertson Auditorium, third floor of the Academic Building and a reception will follow. It is free and open to the UHD community!